Argentine journalist Damian Pachter who is believed to have been the first to report the death of prosecutor Alberto Nisman says he has fled the country, fearing for his life. 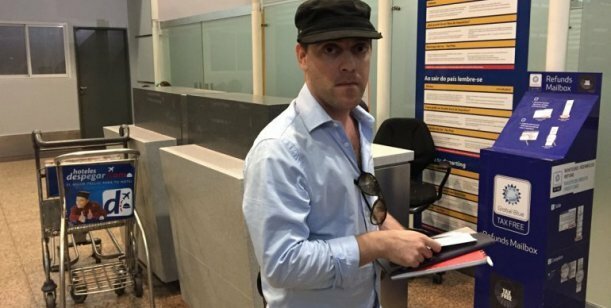 Damian Pachter, who works for the Buenos Aires Herald, left Argentina early on Saturday. Alberto Nisman’s body was found in his apartment a week ago, hours before he was due to testify in Congress. The prosecutor had been investigating the bombing of a Jewish centre in the capital in 1994 which left 85 people dead. Alberto Nisman, 51, had accused several senior government figures – including President Cristina Fernandez de Kirchner and Foreign Minister Hector Timerman – of involvement in a plot to cover up Iran’s alleged role in the bombing. “I am leaving because my life is in danger,” Damian Pachter told the news website Infobae.com. Damian Pachter said he would return to Argentina when his sources told him conditions had changed. On January 22, President Cristina Fernandez de Kirchner said she was convinced that Alberto Nisman’s death was not suicide. Investigators initially said they believed Alberto Nisman had committed suicide, but later said they could not rule out homicide or “induced suicide”.